Chrysalis Receives $250,000 Grant From The Bob & Renee Parsons Foundation. Chrysalis has been awarded a $250,000 grant from The Bob & Renee Parsons Foundation to support organizational growth and expand existing programming to better serve those affected by domestic abuse. Utilizing a 360-degree approach, Chrysalis offers emergency shelter, transitional housing, counseling, legal assistance, offender intervention and mobile victim advocacy. The funding will allow the nonprofit to increase its staff and implement new services, including a transportation program. As a recently certified trauma-informed organization – the first certified domestic violence organization in Arizona – Chrysalis utilizes an approach that not only serves the physical needs of its survivors but also provides the mental and emotional support needed to break the cycle of abuse. Through its residential crisis shelter, survivors are given more than a safe place to stay, they receive individual and group counseling, case management, job development, medical services, parenting support and personalized assistance based on each individual’s needs. According to the Arizona Department of Health Services, one in four women will experience domestic violence in her lifetime. In total, more than 1,200 victims of abuse utilized Chrysalis’ services in 2017, a 20 percent increase from the previous year. To better provide trauma-informed practices and facilitate growth, the organization will utilize the Foundation grant to increase its staff. Chrysalis will also be able to upgrade its facilities’ security and technology systems and launch the new transportation initiative, providing a timely and safe option for survivors to receive medical attention, attend court hearings and access other important services for establishing lives free from abuse. 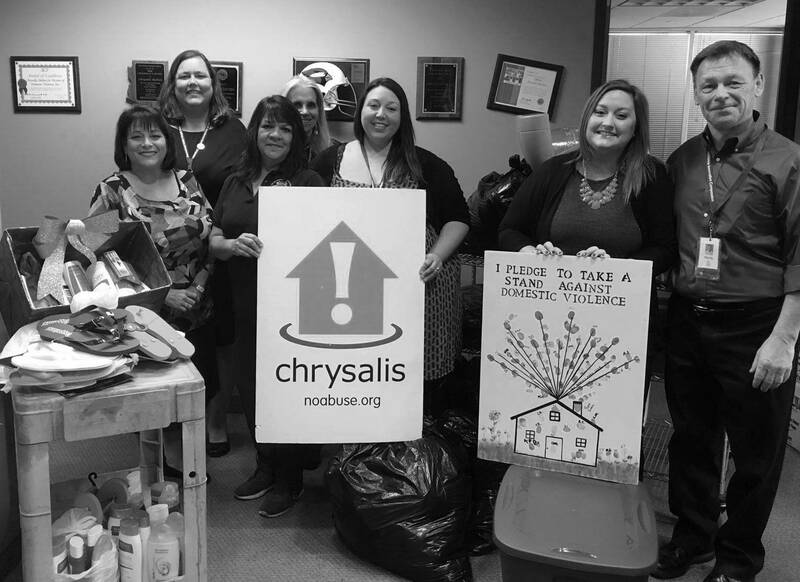 For more than 37 years, Chrysalis has been a staple in the domestic violence community and is the largest standalone domestic abuse organization in the Valley. In addition to its victim and offender services, the nonprofit also offers educational programming for civic groups, schools and businesses to help people recognize the warning signs of domestic violence and stop the cycle of abuse. To learn more, visit noabuse.org or follow @chrysalisaz on Facebook, Instagram and Twitter.